14kt white gold earrings featuring Ikecho Pearls that are 16.5mm each. The Pearls are bezel set with .79ct of round brilliant Diamonds surrounding them. 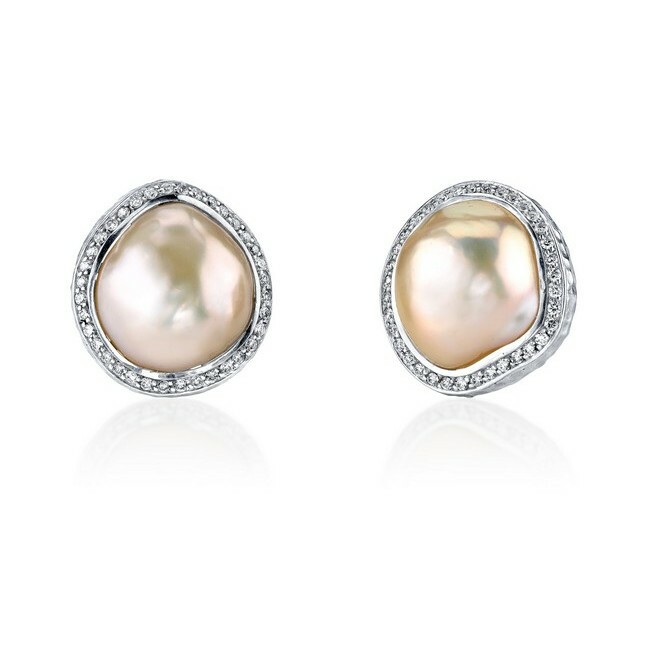 The earrings feature hammered white gold around the Diamonds. This is a Jorge Adeler custom design.